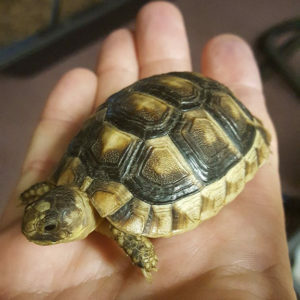 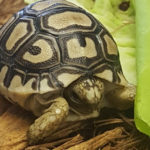 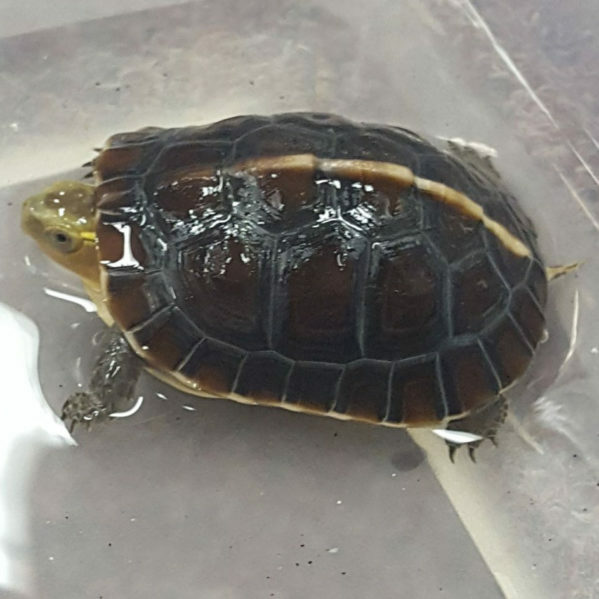 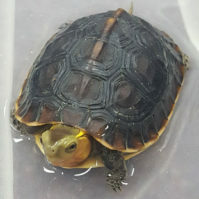 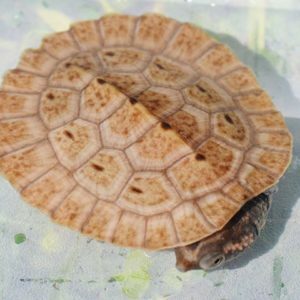 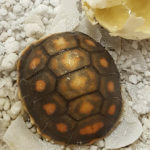 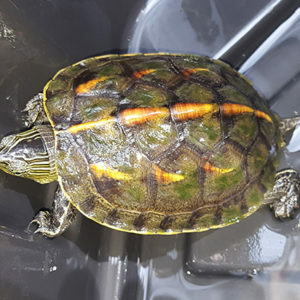 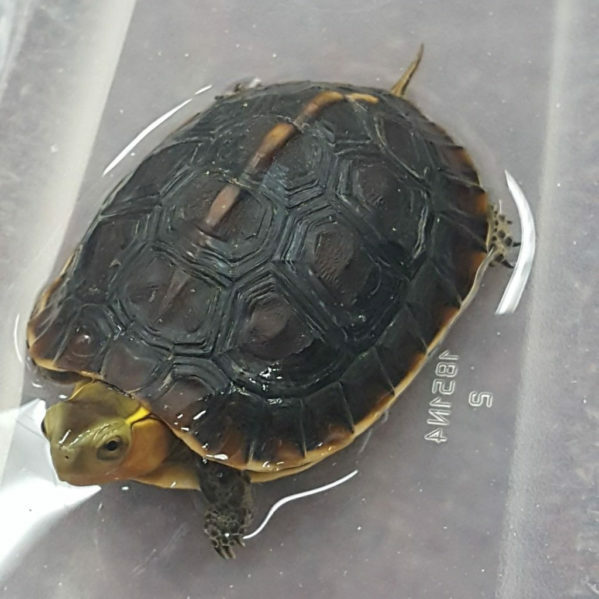 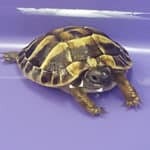 We have 2 Chinese box turtle babies available. 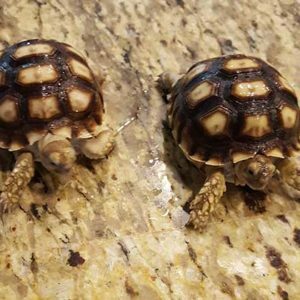 They are about 2 ½ inches long. 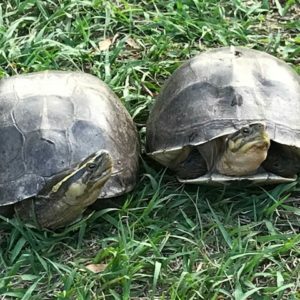 These turtles are not related. 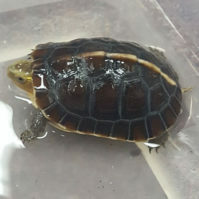 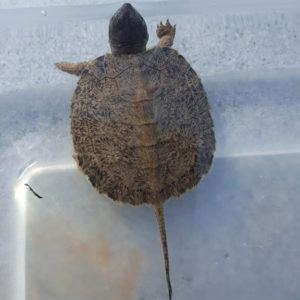 They are omnivorious turtles who will eat a large variety of foods. 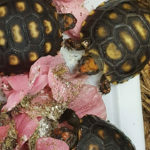 Adults favor earthworms, frozen pinkies (defrosted), snails, slugs, and fruits like papaya, strawberries and cantalope. 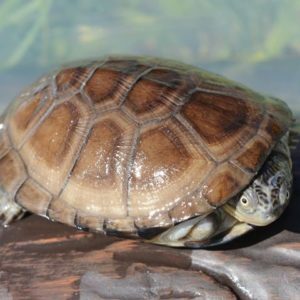 These are active turtles who do quite well outside in warm climates.